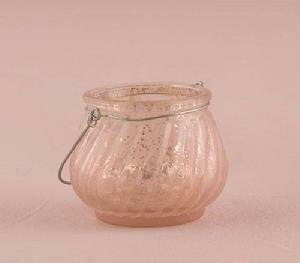 9465 - Create a romantic atmosphere with the flickering of candle light illuminating this soft pink holder. With a wire hanger for simple decorating, it's a perfect fit to light up your ceremony or reception. W 8 x L 8 x H 6.5 cm. Candles sold separately.